Extending from the North Slope of Alaska to central Mexico, For 20 million years (~90-70 million years ago), the landmass of Laramidia hosted rich alluvial/coastal plains at the intersection between rising mountains in the west and fluctuating seas to the east. These lush plains were home to some of the best know, and most diverse dinosaur ecosystems known today. Northern localities in Montana and Alberta have received considerable attention while central and southern localities are only just becoming the target of new research. 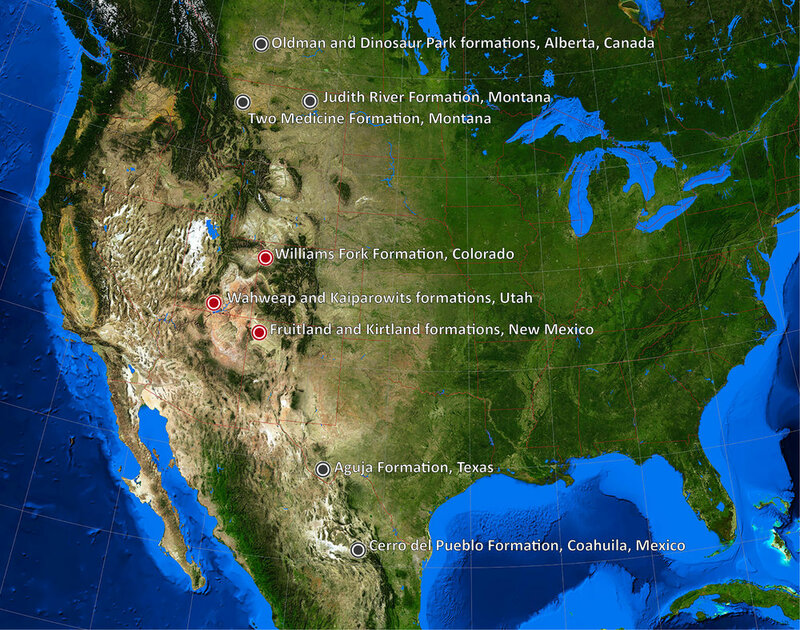 The Denver Paleontology team is conducting intensive fieldwork in several central/southern localities indicated in red on the above map.